As I have already mentioned titanium is a ductile metal, that’s why it can be processed into strings of wire. 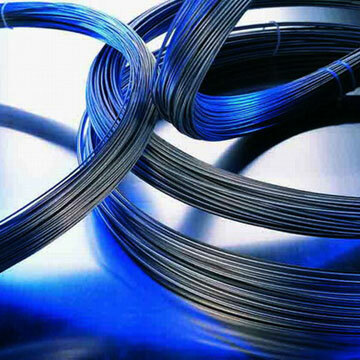 Wire is one of the primary products obtained from metal ingots. The process does not significantly differ from the drawing of any other common metals. An extruded titanium rod is drawn into a series of dies of different, smaller diameters until the desired size is obtained. 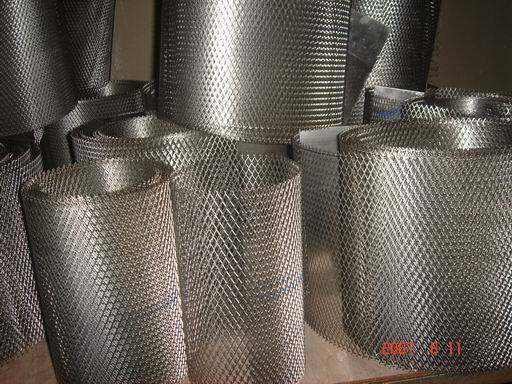 Usually, lubricants are needed when drawing titanium because of its tendency to gall. When lubricants are not removed prior to its commercial release the wire is reffered to as black, otherwise is called white. Titanium wire is commonly used in medical field where it has a long history, starting with the common orthodontic implants and ending with the most elaborate surgical procedures. It is possible to wow the wire to form a titanium mesh and use as such in a lots of applications, including reconstruction surgery (but not the type shown in the picture above). As with any other titanium applications, only the sky is the limit regarding future development. Wire made of titanium was successfully used in producing commercial products that require thin, bendable, cold forming friendly pieces of metal such as eyeglasses. The strength of titanium validated use of the wire for protective items and the hockey players were promptly offered an original mask made from titanium. It is worthwhile mentioning that wire made from titanium – nickel alloy is one of the most important shape memory alloys – alloys that regain a previous modelled shape when subjected to heat exposure. It is also the most efficient one regarding conversion rate from heat energy to mechanical energy, quality which makes it the most widespread.